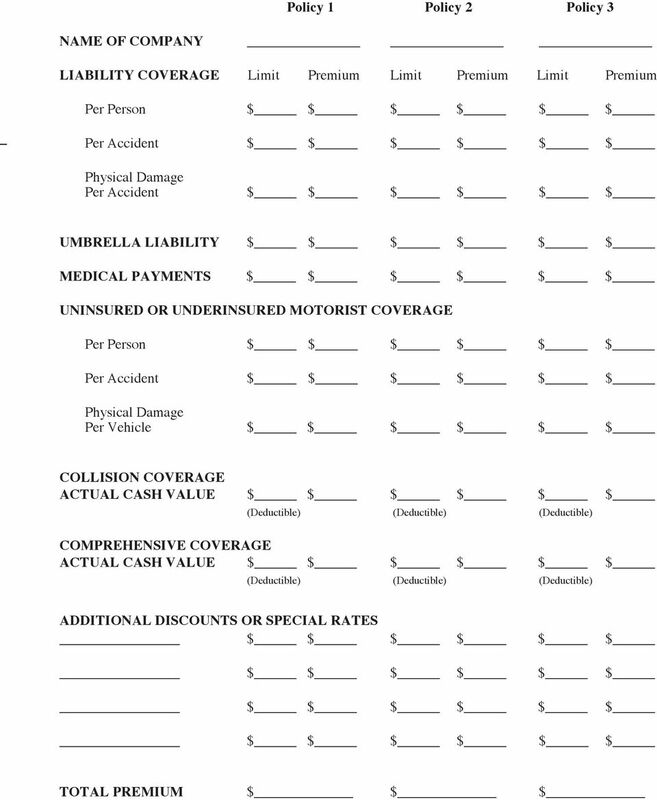 Download "AUTOMOBILE INSURANCE HOW MUCH COVERAGE DO I NEED?" 5 less, the premium cost over a few years may add up to more than you would receive if the car were damaged. Multi-car discounts. 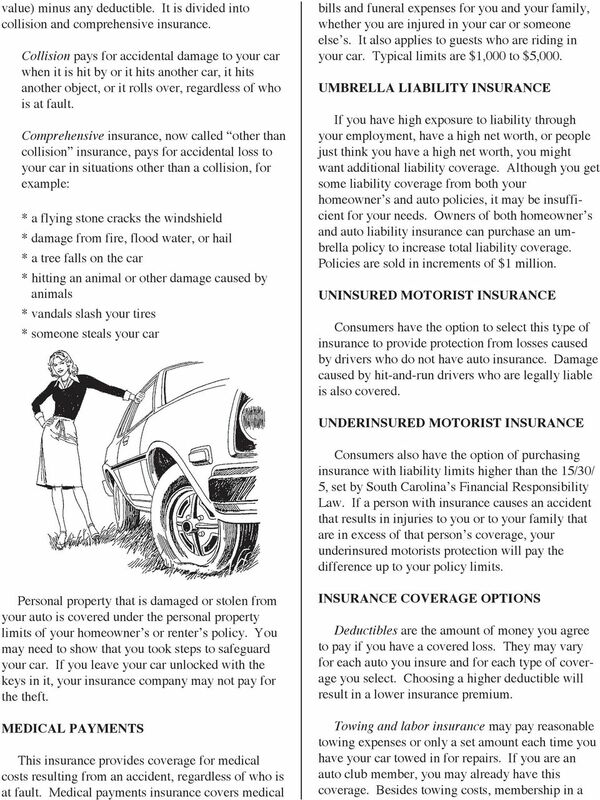 Insuring more than one car in a household on a single policy may reduce premiums by percent. 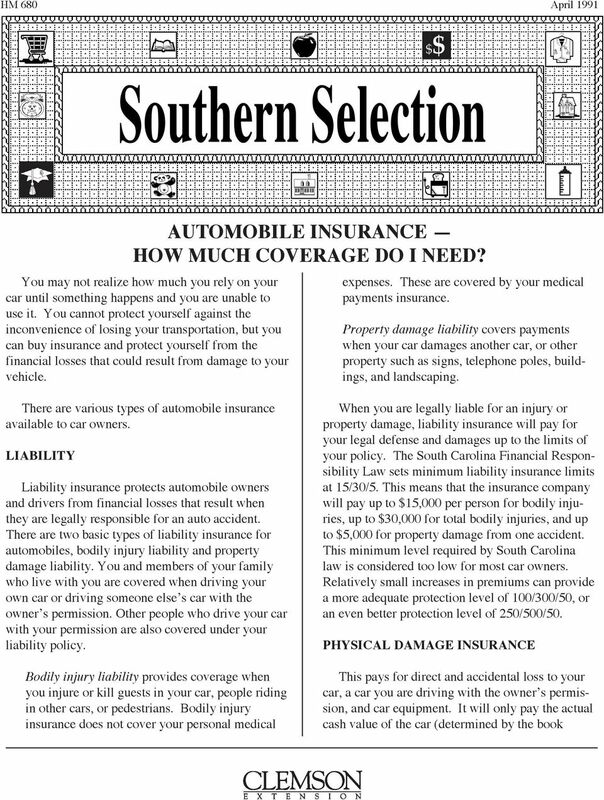 Insuring your home and your auto with the same company may also qualify you for a discount. Young drivers. It is usually less expensive to insure young drivers on their parents policy than on a separate one. 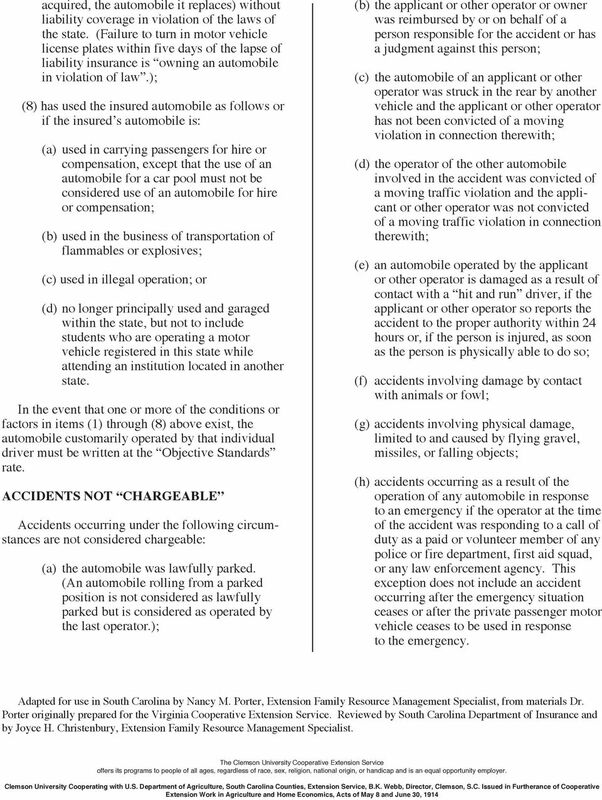 However, a separate policy could limit the parents liability. Some companies offer discounts for high school or college students who have a good grade average. Discounts may also be offered to students who have completed a driver education course. Students who are away at school and are infrequent drivers may receive reduced premiums. Good drivers. 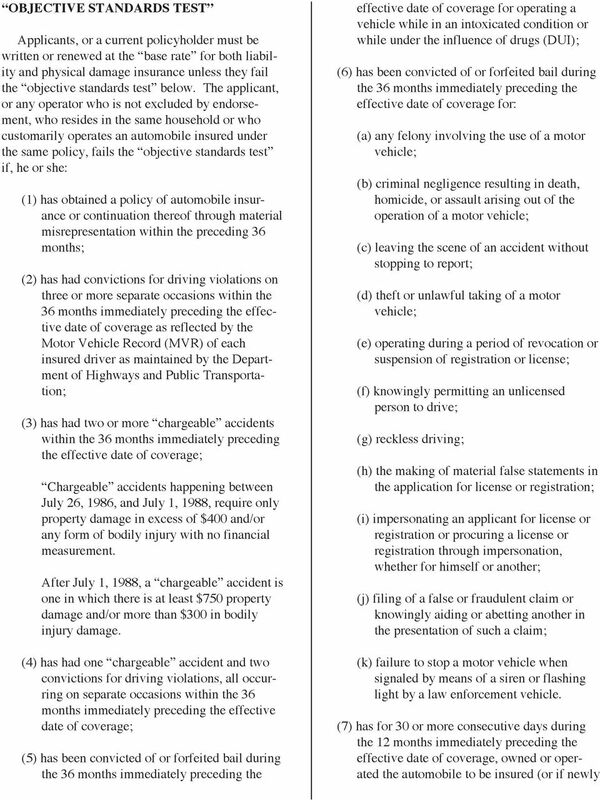 Many companies offer discounts for drivers who have not had traffic violations or accidents for a certain time period. Mature drivers. Drivers aged 50 or 55 and older may receive a discount of percent. Car pools. Commuters who share driving to school or work with others may qualify for a discount. Shop around each time your policy comes due. You may find that rates change among the companies and that premiums are different as your car and you age. However, take into consideration any discounts your company may offer for long-time policy holders. 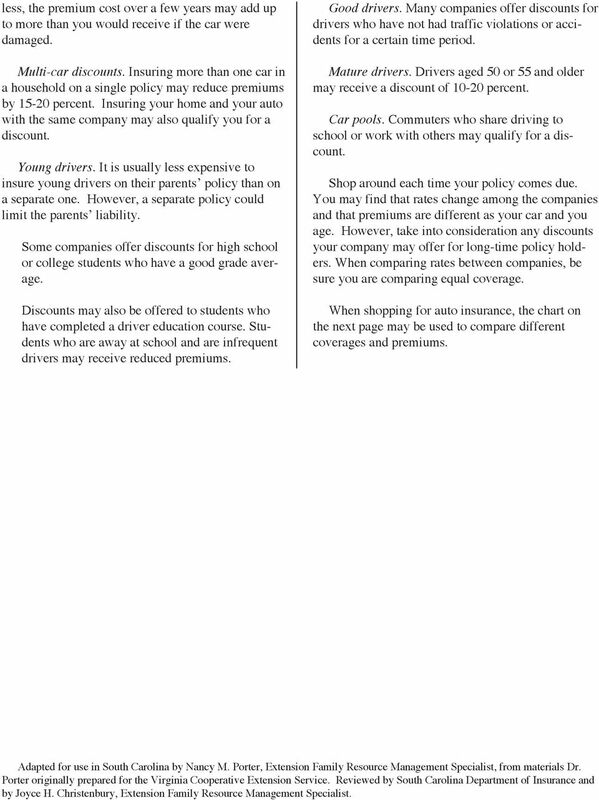 When comparing rates between companies, be sure you are comparing equal coverage. 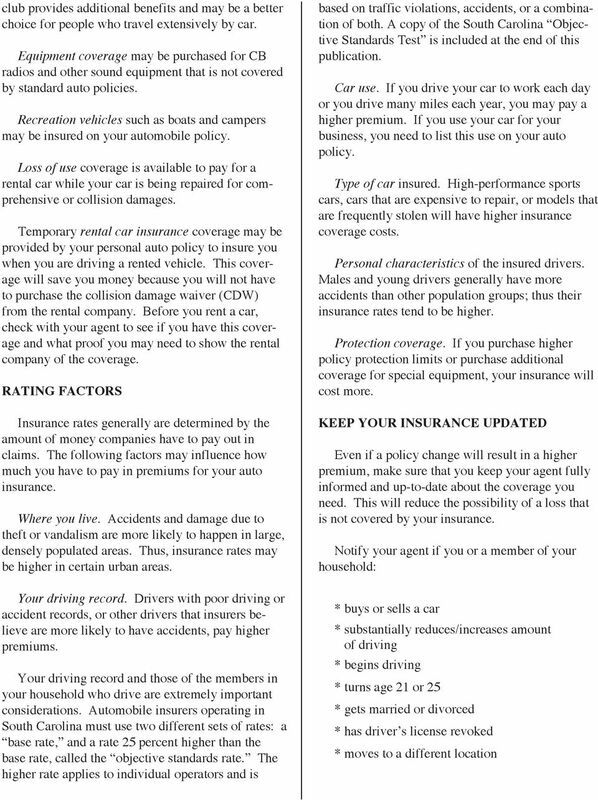 When shopping for auto insurance, the chart on the next page may be used to compare different coverages and premiums. Adapted for use in South Carolina by Nancy M. Porter, Extension Family Resource Management Specialist, from materials Dr. Porter originally prepared for the Virginia Cooperative Extension Service. 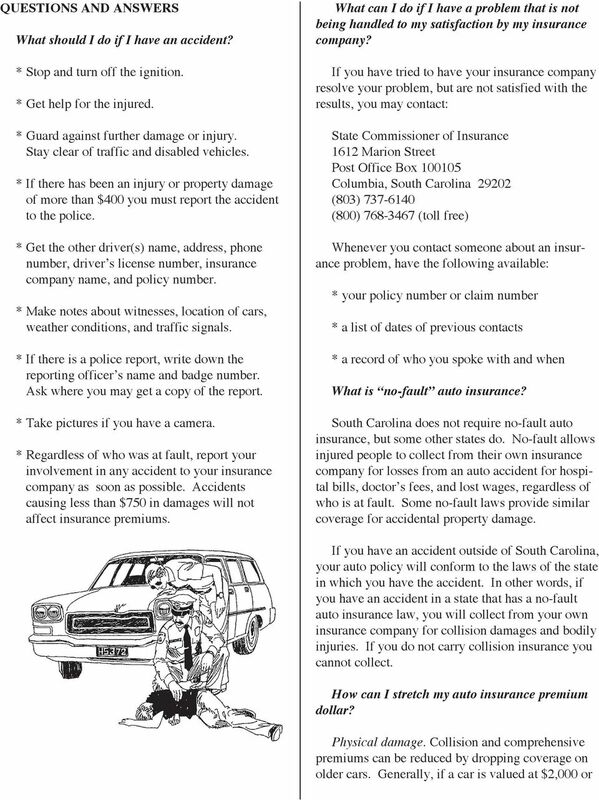 Reviewed by South Carolina Department of Insurance and by Joyce H. Christenbury, Extension Family Resource Management Specialist. Rental Car Coverage and the MAP - So Much Exposure & So Little Coverage!